The Legatum Institute is delighted to announce the incorporation of the Financial Services Negotiation Forum (FSNF) to create the Legatum Financial Services Forum. The new body, led by our Director of Economic Prosperity Studies Shanker Singham, will strengthen the work of the Legatum Institute’s Special Trade Commission (STC), providing independent, expert analysis on the future of financial services policy. As we enter into the start of negotiations, both the UK and the EU are publicly staking out their opening positions in an attempt to anchor the other side’s ambitions. 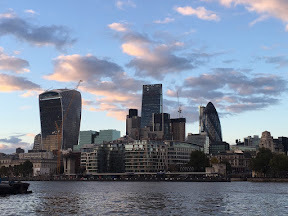 Reports of banks moving en-mass to Frankfurt, Paris or Dublin are readily met by confident assertions that the bulk of the industry will remain in London. Today the FSNForum publishes its third research piece, looking at the mutual self-interest in a post-Brexit financial sector accommodation between the UK and the EU. The paper, written by renown economist Des Supple of Event Horizon Research, concludes that Europe’s need to generate faster rates of economic growth and to ensure stable funding sources means that it is in the self-interest of the EU to ensure a mutually acceptable post-Brexit. Furthermore, the ultimate beneficiary of a disruptive Brexit for financial services would likely be New York, which could imply a new loss of risk weighted assets, AUM, employment and regulatory influence from the European time-zone.